Qatar Airways will suspend its direct Cebu-Doha flights by March 26, some eleven years after establishing the direct service, an airline advisory said. The advisory, sent to the airlines’ partners and clients, said it will stop servicing the Cebu-Doha route due to rising fuel cost and high operating expenditure. Its last flight is scheduled on March 26. 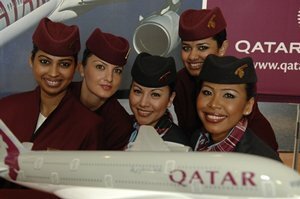 Qatar Airways started flying from Doha to Cebu in 2003, with an average travel time of nine and a half hours. It flies thrice a week from Doha and Cebu. The airline said passengers with flights after March 26 will be provided with alternative flights like the Manila-Doha route that flies twice-weekly. Cebu’s tourism players said they hope the airline management would reconsider its decision, citing the Cebu-Doha route as Cebu’s only direct link to Europe. Philippine Department of Tourism (DOT) 7 Director Rowena Montecillo said they are requesting for a reconsideration especially now that the European market is picking up. Montecillo said she has scheduled an appointment with Qatar Airways (Philippines) management to talk about the issue. She said this is a business decision, but she personally would want to know the problems of the airlines to get an idea on how the government and the private sector can come in to help them. She stressed the need for Cebu to increase its connectivity to other countries so it could attract more foreign arrivals. “How can we continue promoting our province if we don’t have connections to bring them here?” she said. Qatar Airway’s entry to Cebu in 2003 has allowed greater accessibility for European tourists, specifically Russians, to Cebu. Montecillo noted an increase of 76 percent in the number of Russian tourists alone last year. Arrivals from Sweden, Switzerland, Belgium and Denmark, among other European countries, are also rising. DOT 7 recorded a growth of 6.43 percent in European tourist arrivals or 124,276 tourists last year over the 116,763 European tourists that visited in 2010. The Hotel, Resort and Restaurant Association of Cebu (HRRAC) is also appealing for Qatar Airways to reconsider. “HRRAC appeals to Qatar Airways Management for a reconsideration as we need their service for our connection to and from Europe. Traffic via Manila is not a desirable option.